Adventure travel is still at an early stage in the Chinese market, but with a rapidly growing interest within both the advanced and the casual segment, China is expected to become a driving force within the adventure travel sector internationally, recent findings of the ITB China Travel Trends Report revealed. According to the market survey result from 300 Chinese outbound travel agents, over 52 per cent of the interviewees think Chinese travellers are willing to spend more than CNY10,000 ($1,488.5) on each adventure trip. A survey has also been conducted among members of the ITB China’s Buyers’ Circle. Around 80 per cent of these surveyed businesses agree that adventure travel is a travel category that appeals most strongly to young Chinese born in the 1980s and 1990s. The trends report was created in collaboration with the international consulting and research company Kairos Future and will be presented at ITB China, set to take place from the May 15 to 17 in Shanghai. Adventure travel can take many forms, and the meaning of “adventure” differs widely from traveller to traveller. For some, the ultimate adventure can be found in high adrenaline activities such as skydiving or paragliding. For others, adventure requires embarking on an expedition into the wilderness to engage in activities such as hiking or rock climbing. The interest in adventure among Chinese travellers runs parallel to the strong entrepreneurial ideals present in today’s Chinese society. According to the travel industry experts interviewed, it is no coincidence that entrepreneurs and company leaders love adventure: Expedition and entrepreneurship have similarities, such as extraordinary courage and dedication, not being afraid of difficulties and challenging oneself. This, at the same time, gives rise to a feeling of worry among many prospective travellers. 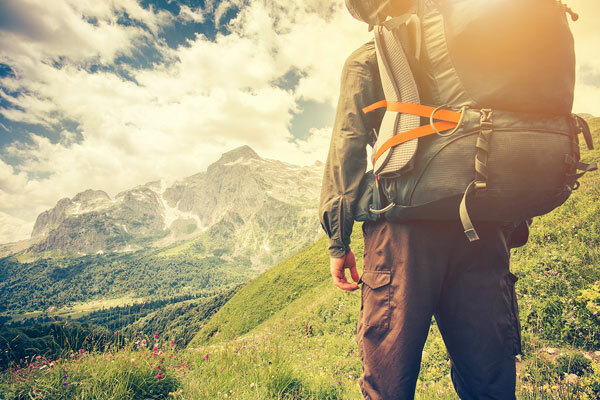 Concerns on safety point to the importance for providers of adventure travel products targeting less experienced travellers of clearly showing that everything is under control. Different segments among adventure travellers can be seen in travellers with more and less experience, who demand activities of different difficulty levels. Trip customisation is the key for all segments of adventure travellers, because uniqueness is part of what makes adventure travel attractive. Among the surveyed travel companies, almost three quarters considered customised and personalised travel experiences to be in high demand or absolutely necessary when it comes to adventure trips – a much higher share than for the other travel themes in focus of the ITB China Travel Trends Report.